"The variety of activities on offer is fantastic. It is clear to see the staff work really hard to ensure the children have a great experience." S and is enjoying it greatly." "[My child] really enjoys his time here and I can clearly see he has learnt so much. Although it will be very sad when he leaves it is clear to see he is ready for the next step." and it is great for getting him ready for big school." "I think all the staff are wonderful they take such good care of the children and are very warm and kind, you all have a good sense of humour too which is so important." 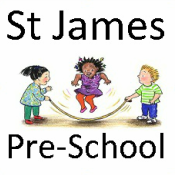 "[my child] has enjoyed pre school so much he is a little sad to leave. he says "I will miss the girls" his development and confidence has grown since starting at 2 1/2. He is more than ready to start school and it has made possible by the excellent teaching at pre-school." " I'd like to take this opportunity to say what a wonderful nursery you have. From the moment I came in to see my student you could tell what a well run, well organised nursery it was with such good staff. I was so impressed with your staffs positive attitude towards the children which was demonstrated by extremely happy well behaved children, who have obviously benefited greatly from the environment. it was a joy to come to the nursery and see such good practice. I look forward to my next visit, though I may be fighting the other assessor for the next visit after singing your praises!"